The Hyderabad High Court has been informed by the Union Law Ministry that the Supreme Court has agreed to divide the current sanctioned strength of 49 judges between AP and Telangana High Courts in the ratio of 60:40. The information was supplied in the form of an affidavit filed before the Hyderabad High Court, while hearing a petition filed by T. Dhangopal Rao of Hyderabad, questioning the delay in setting up two separate high courts for the two states. "Chief justice Sengupta also told us that the options of the sitting judges will be invited, requesting them to indicate their choice of high court for rendering their service after bifurcating the common high court into two HCs," the affidavit stated. The Ministry dismissed the myth that the Supreme Court would decide the location of the AP High Court and informed that the matter has been referred to the Chief Justice of India, who stated that this decision has to be taken by the appropriate authority. The Union Law Ministry had placed the responsibility of setting up a High Court for AP on the Chief Minister of AP and the Chief Justice of Hyderabad High Court. The Ministry rapped the CM for not responding to the official communications in this regard. "Unless they move first, we cannot notify the setting up of the AP HC," it said. Chief Justice Sengupta also considered whether it is possible to declare the common capital (Hyderabad) area as the notional territory of AP also till it is ready with its High Court. 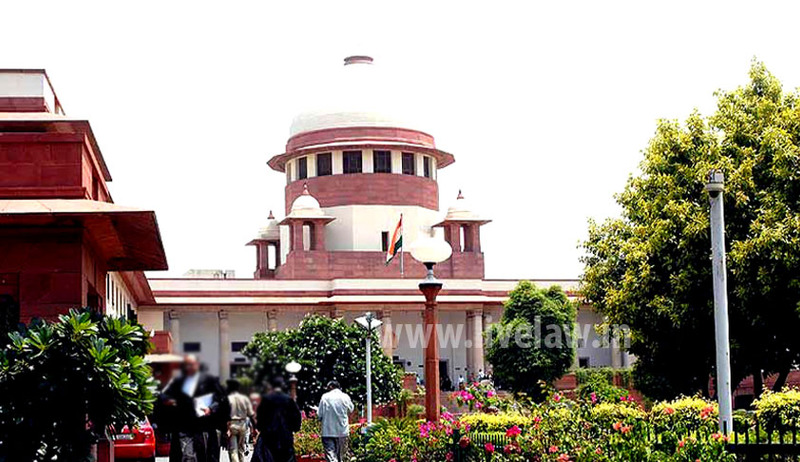 The Telangana Government placed three options before the Hyderabad High Court: Having two separate High Courts in the existing High Court building or providing a new building at Gachibowli for the High Court of any one state or allocating the existing High Court building to AP and locating the High Court for Telangana at Gachibowli. The Telangana AG said his government was agreeable to locating two separate courts in the existing building by creating additional infrastructure just the way the state legislature and state secretariat were divided and allocated to two successor states. The Chief Secretary of AP, in the counter filed before a bench comprising of Chief Justice Sengupta and Justice Sanjay Kumar stated that they will move once the High Court is constructed in their capital region area. Andhra Pradesh has been relying on the AP Reorganization Act, according to which the centre is supposed to fund the construction of its capital city and important institutions such as the Raj Bhavan and the High Court. His affidavit also stated that all they want is their own High Court. "For that, we don't mind moving out of the current HC building or even finding a suitable building for AP HC within Hyderabad," their counter stated. Earlier in June, 2014, the Law Ministry had written to the Chief Justice of Andhra Pradesh High Court, for creation of separate High Courts for the new states of Telangana and Andhra Pradesh. Read the LiveLaw story here. Subsequently in November, the Ministry of Law and Justice had given a green signal for formation of a separate High Court for Andhra Pradesh. Read the LiveLaw story here. Later in December, a Division Bench of the High Court had ordered that two Bar Councils could not be created unless the Andhra Pradesh HC was created. This order was passed by Chief Justice Kalyan Jyoti Sengupta and Justice Sanjay Kumar while hearing an appeal filed by the Bar Council of India (BCI) against the order of a single judge of the High Court. Reportedly, S. Prabhakar, a law graduate, and Ch. Venkata Narayana, a practicing advocate from Telangana, had through a petition raised the issue that as per the AP Reorganization Act, 2014, a separate Bar Council had to be constituted. The single judge had accepted such contention and had allowed the petition. Read the LiveLaw story here. According to section 30 of the A.P. Reorganization Act, 2014 (Central Act 6 of 2014) the High Court of Judicature at Hyderabad shall be the common High Court for the State of Telangana and the State of Andhra Pradesh till a separate High Court for the State of Andhra Pradesh is constituted under Article 214 of the Constitution of India etc. and other provisions of the Act. Read the entire scheme here.